PlayStation Plus is a network game for PS4, discounts on the PlayStation Store, games of the month and much more. Join the global online gaming community and enjoy exclusive features and benefits for PS Plus subscribers. Play with your friends and rivals in your favorite games in multiplayer online modes. Every month, get two PS4 games, download and play them while you are a subscriber. Save big on PlayStation Store with exclusive discounts for PS Plus subscribers. 10 GB of cloud storage: upload your save to the network and keep playing on any other PS4. Share Play: Let your PSN friends join you in multiplayer battles or become guides to your adventures, even if they don´t have this game. Vote for the game: Vote for your favorite game so that it appears in the PS Plus collection of games of the month. Early access: get access to new games, demo versions and beta versions before your friends, exclusively for PS Plus subscribers. 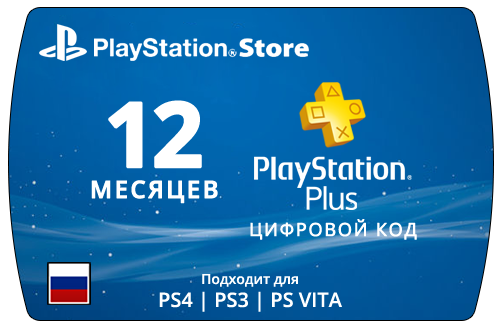 Everything you need in PlayStation Plus is located in one highlighted place on the initial screen of your PS4. In this special place for subscribers, you can download games, get discounts on PlayStation Store, manage your 10 GB online storage and get the latest news about gaming tournaments and community events.